A moving story about Zach Sobiech. Zach is a 17 year old American diagnosed with osteosarcoma, a rare form of bone cancer. With only months to live, Zach turned to music to say goodbye. Zach turned 18 years old on May 3rd, 2013 (Happy Birthday Zach) and continues his fight against cancer with a smile that can change the world. Thursday 16th May (2pm-5.30pm) Dr. Patrick McDaid Thursday, "Addressing Death"
Jon Underwood founded Death Café in order to evoke conversions on and around death. Over the last century death has become the ‘final taboo’ in the UK and many other countries across the globe. In order to break a taboo society needs to address and speak about it. This is where Death Café steps in, boils the kettle and cuts off a slice of cake. Death Café’s can occur anywhere. They are relaxed and informal gatherings with no set agenda or structured criteria. The only certainty is tea, coffee and cake! There have now been over 100 Death Café’s worldwide and Jon’s creation is considered ‘a movement’ rather than a brand or organization. TONIGHT (Wednesday evening) Jon will be running a death café in London to run symbiotically and support Dying Matters Awareness Week. As always it is open to the general public and Jon’s open invitation spreads to all across London and the UK. If you are unable to attend on Wednesday be sure to keep a close eye on www.DeathCafe.com during Dying Matters Awareness week as there are a number of other Death Cafes planned up and down the country. The Death Cafe website also includes listings of each event (globally) and information on how to start and run your own Death Café. ‘Death Café with Jon Underwood’ will be held at ‘DeadSocial’s Dying Matters Awareness Week Popup Coffee Shop. Dying Matters are currently running their reflective “Final Tweets” project ahead of and during the annual ‘Dying Matters Awareness Week’. To participate simply create twitter message whilst pretending that it would be the last Twitter message (tweet) that you would ever send. - By post, send your Final Tweet to: Sarah Stone, Final Tweet, Dying Matters Coalition, The Fitzpatrick Building, 188-194 York Way, London, N7 9AS. DeadSocial will be running a pop up shop during Dying Matters Awareness week. One of the offerings provided at the space (10am-5pm Monday - Saturday) will be to have a professional video footage recorded and edited for free. The video maker and photographer Tugba Tirpan will be allocated a private area at the back of the popup shop. In this area the general public can sit down and have a video message created. Each person will decide if they want their video to be public now or if the video should only be seen once they have passed away. Video content may include; videos to be played at the person’s funeral, videos to assist an (already written) will, final goodbye videos, videos to be played at the persons wake and/or videos created to be sent out post-death using DeadSocial. For anyone who wants to have their ‘Final Tweets’ to be recorded and sent out on Twitter come to down and let us know. If you do not have a twitter account we will happily set one up for you in the coffee shop (or send it out on our own twitter account, it’s up to you). Whatever you would like to have filmed come down to the popup coffee shop at 69 Camden High Steeet between 10am-5pm and speak to Tugba, she will ensure that you have a fantastic video. Susan Morris is a Palliative Care Clinical Nurse Specialist, Camden Palliative Care Team and cares for people with an advanced illness or who are dying. Richard Putt and Lori MacKellar will be on hand on Tuesday afternoon to answer any questions that you may have regarding funerals and how to serve those who are approaching the end their life. - How do we want to live on? How can the 'awareness' of Death enrich us? - How do we support others through Death? - Exploring new ways of 'living on' after Death? Lawrence used to teach counselling at Barking College and is a fully qualified Adult Education Teacher. Lawrence recently worked as a Community Worker and last year ran this course for professionals and members of the public in Barking & Dagenham. Lawrence has also ran a series of Philosophy workshops with older people on Community Philosophy . 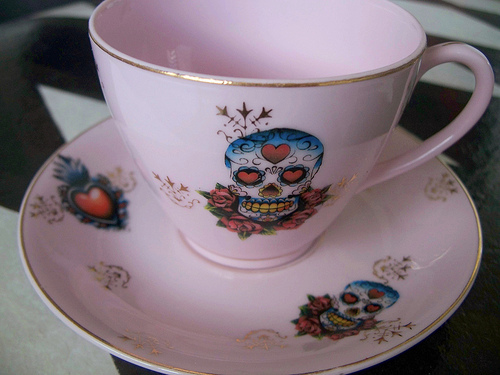 At a Death Cafe people, often strangers, gather to eat cake, drink tea and discuss death. The objective of Death Cafe is to increase awareness of death with a view to helping people make the most of their (finite) lives. - On a not for profit basis: this event is free! Dr. Patrick McDaid (MBChB Dip.PallMed MRCGP) is a practicing Palliative and End of Life Doctor in Hampsted. He is also the Macmillan Palliative Care GP Facilitator for Camden and Islington. Dr. Patrick McDaid will be giving a presentation and answering all questions that are evoked during the presentation. - Establishing a Palliative Care Drug Box, out of hours service supplemented by Palliative Care for Adults-Guidance for Primary Care produced in liaison with a local palliative Care consultant. The idea is that people is that people do not have to go to hospital to have their symptoms controlled if they are dying. - Developing the attached quick guide, focusing on a common sense approach to identifying those patients who might be in their last year of life or benefit form being on a “Palliative and supportive care register” at their GP surgery. - Drawing on working experiences produced the Tips for GPs for Advance Care Planning which was subsequently posted on the National end of life Care for Adults Website and referenced as an example of good practice in the Find your 1% GP Pack. The latter is a national campaign by Dying matters to support GPs to find (before they die) the 1% of their patients who die each year. - Supporting a peer educator project run by gentle dusk training volunteers as advocates around End of Life issues. They have just started linking these with a small amount of GP surgeries across North Central London (Barnet, Enfield Camden Islington and Haringey) so they can support patients in thinking thourgh and documenting their wishes for their End of Life Care. Emily will be running a workshop on Living Wills. Living will’s allow you to indicate that you wish to refuse certain types of medical treatment, should you be unable to make or communicate a decision about your treatment in the future. This workshop will also include funeral planning. Emily is a retired social worker who also worked for ten years with families affected by terminal illness. This often required Emily to help assist parents plan for their children's future care as well as for their own needs. She is now very interested in the problem of funeral debt (funeral poverty) and has been carrying out research with Citizens Advice Bureau, with a view to developing policies to address this growing problem. Pertwee Anderson and Gold and The Museum of Curiosity are collaborating on a new exhibition. Memento Mori explores the most universal of subject matters: death, and brings together both historical and contemporary artworks which ask the viewer to contemplate their own mortality. ‘Memento Mori’ translates as ‘Remember you die’ and is said to originate in Ancient Rome where a general was parading through the city celebrating success in battle. A slave stood behind him and it was his duty to remind the general that although he was at the peak of his success he was still a man and not a God. The slave is said to have whispered ‘Memento Mori. This exhibition mixes historical objects with contemporary interpretations of the theme and brings together an extraordinary selections of artworks. With works ranging from an 18th century Reliquary containing the hand of a saint, to paintings and carved human skulls commissioned specifically for the show, Memento Mori promises to be a wide ranging and rich exhibition on a universal theme. The 'Pop Up Coffee Shop Party' is open to all and free to attend. - Helium Balloon inflation (send messages to your loved ones up above). Throughout Dying Matters Awareness Week 2013 (13th -19th May 2013) DeadSocial will be running a number of events from the Collective ‘Pop Up’ in Camden. The 'Dying Matters Awareness Week Pop Up shop' is a not for profit venture and is only able to be taking place due to the kindness of volunteers and support from speakers, organisers and contributors. A special thank you to Camden Town Unlimited for providing the Pop Up space & Leverton’s for balloons and drinks. The Space will be open between 9.30am-6pm each day. The party is only occurring on the Tuesday evening from 7pm. Tickets are not required for day time activities however tickets for the party are required and free the free ticketing platform below. If you are unable to attend the party then please feel free to come down to the Dying Matters Pop Up coffee shop at a different time during the week. Dying Matters is an inclusive national coalition of 28,000 members, which aims to change public knowledge, attitudes and behaviours towards dying, death and bereavement. DeadSocial is the social networking tool that enables us to say “goodbye” posthumously to our friends and family. This allows us to say goodbye in our own unique and individual way. Hi Sushi providing high quality, hand rolled Sushi to Camden and the Westend. Hi Sushi’s ambient restaurants are a favourite place to eat and relax for many in the Camden borough and London. Tim Watt will be performing his beautiful and acoustic, indie-folk music tonight. Tugba Tirpan is a professional filmmaker and photographer working within the arts, startup and fashion sectors. The infographic below shows the top 20 things people would like to do before they die. The data displayed was attained by 500 people over the age of 55 in the UK. During Dying Matters Awareness Week 2013 we will be asking people in London to write on an evolving wall in the heart of London. The stimuli for the responses will be the title: "Before I die I would like to..."
During Dying Matters Awareness Week 2013 (13th-19th May) DeadSocial will be running and overseeing a series of events from a shop located in the heart of Camden, London. The ‘Collective Popup shop’ will be converted for Dying Matters Awareness Week and focus on helping the general public visiting to 'be ready' for death. A private sectioned off area will be provided for the general public can have a professional video of themselves recorded for free. The videos created will be edited and sent to each person the following week. 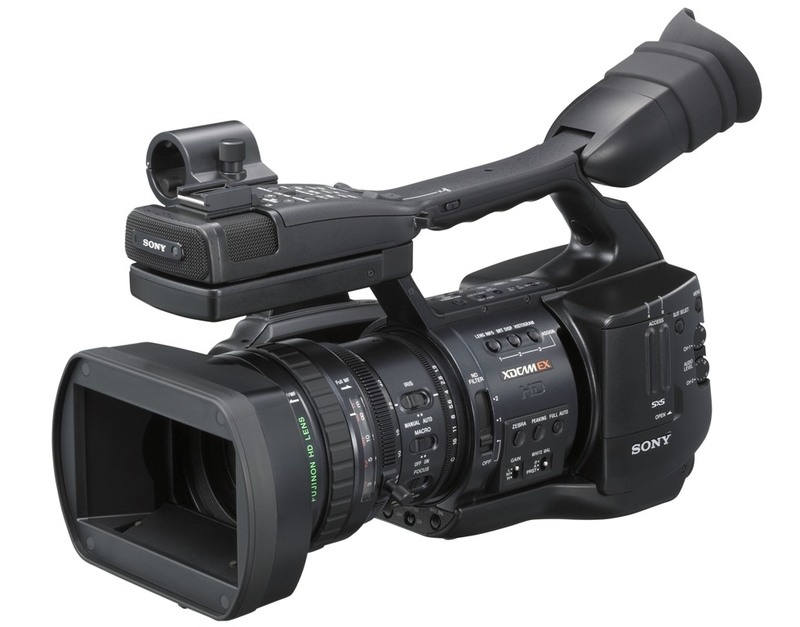 The content of each video is up to each individual however it is hoped that the videos created will be used as part of their last will and testament or be a video message to be watched at their funeral. We will ask visitors to directly write onto the “before I die I want to…” wall. It is hoped that this will help channel realistic dreams and ambitions. It will be interesting to see how this collaborative project evolves over the course of the week. An open request for experts, healthcare professionals, educators, business owners, religious leaders, charities, creatives and volunteers has now begun. DeadSocial encourage anyone who is interested in being involved during the course of the week to get in touch. We are happy for the shop to be "taken over" for a morning, afternoon or evening by different organisations who can set their own agenda. The first organisation announced to 'take over' the space will be the 'Death Cafe'. Death Cafe are a global not for profit movement that breaks the taboo of death by making it and all death encompasses the subject matter of their events (whilst eating cake). Literature will be available and short films by NCPC and Dying Matters members will be projected during the week. Members of the NCPC & Dying Matters team will also be found drinking tea and coffee in the popup coffee shop (when they get time) over the course of the week. Complimentary tea and coffee will be served to all. The Coalition’s Mission is “to support changing knowledge, attitudes and behaviours towards death, dying and bereavement, and through this to make ‘living and dying well’ the norm". Members include organisations from across the NHS, voluntary and independent health and care sectors (including hospices, care homes, charities supporting old people, children and bereavement); social care and housing sectors; a wide range of faith organisations; community organisations; schools and colleges; academic bodies; trade unions; the legal profession and the funeral sector. On the walk into Austin for the first day of SXSW I came across two beautiful memorials. The first is a Ghost Bike to remember Royce Scott McCoy (1973-2003) on the main pedestrian bridge as you enter Austin. Both of these eloquent memorials have started to stand the test of time. Austin Council / the local government should be credited for allowing these memorials to remain. We would like to invite you to join us for the DeadSocial launch party at South By South West (SXSW 2013). We have decided to through a party to celebrate the launch of the platform. We will be hosting the party at The Museum of the Weird. Each attendee will need to walk thorough the Museum in order to find our unique Party. This intimate event will include live music, drinks and fun. A selected number of tickets have been allocated for this event. VIP ticket holders will be granted entry throughout the evening however, due to the high demand (and nature of SXSW) standard tickets do not guarentee entry. Please arrive early to avoid disappointment. If you cannot make it to SXSW then do not worry! We are based in the UK and will also be having a UK party during Dying Matters Awareness Week (13th -19th May 2013) in Camden, London. This will be a lot of fun (once again with a sprinkling of surrealism). More information will be released about this in the coming weeks.